With the exodus out of the old SUB, a few clubs remain creating a unique subculture in the basement of the old SUB (which is connected to the New SUB). One of these is of course the student run cafe Sprouts, and another is UBC’s very own Free Store. The Free Store was founded in 2013 by students who were tired of seeing perfectly useful items being thrown away, especially in residence. They banded together and formed this organization that has since been added to SEC’s portfolio with a dedicated exec. What can you find in the thrift store? Literally anything from ripped patches of fabric to a fencing sword. The Free Store aims to improve students’ financial situations by providing an affordable way to meet important needs for things such as clothing and school supplies. We aim to provide an alternative economic model for the UBC community based on the principles of sustainability and equality. The Free Store is located in the basement of the Old SUB next to Sprouts and the Aqua Society. The store will be be open 24/7 in the next couple weeks while we set up for the semester. Drop off anything in the bin and take anything you want. Our lovely free store volunteers can answer any questions you may have. If you want to get involved contact us at sec.ubc@gmail.com. Live life freely! George, a Free Store rescue, with SEC Co-Chair Niklas, Outreach Co-ordinator Marina, and Active member Marcos! With election date less than a week away, it’s a no brainer that students, and many other young voters who are voting for the first time, are taking the time to get informed about issues they care about the most, and for many of us, the issues are related to the environment and climate change. As a globally recognized leader of sustainability, or at least the UBC website claims, there are certainly tons of sustainability and environmental actions groups on campus. Some are as old as Common Energy, going all the way back to 2007, while more recent renditions such as the UBC Students for Climate Action just started up this year, focusing on very specific issues to try and get students to mobilize and act collectively. So why is it that whenever sustainability and environmental action groups on campus meet up, there seems to be a gap? On a campus with a big environmental focus such as UBC, the number of students and faculty that are informed about climate issues isn’t slim. In fact, many groups already exist– such as the Student Environment Centre and UBCC350— the UBC division of 350.org, which are both well recognized and have contributed unique initiatives to further discussions on campus. 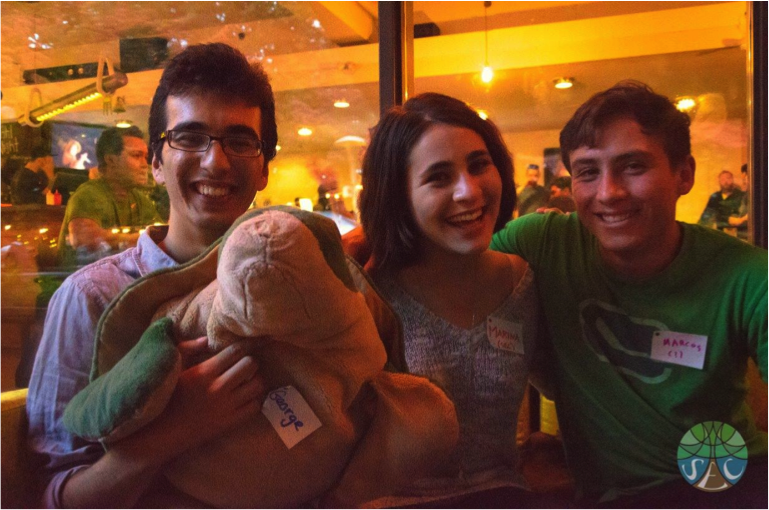 Recently, the Student Environment Centre held an event called Kickin’ Back at Koerner’s, a night supplying nothing but good vibes, discussions, and a space for environmental groups to come together, socialize, and discuss potential collaboration ideas. This event was a great starting point, and the fact that more may be in the works is an extremely exciting prospect, but that’s just the beginning. For sustainability to be embedded within our everyday student lives, there needs to be more than just campus groups holding events once in awhile, there needs to be widespread recognition with students on campus that OH, this event might be hosted by this group, but it has the same implications and goals as another group, and that’s to mobilize, raise awareness, and get us moving to make a change. While many people are trying to discover their own definition of sustainability and understand how they can partake in it, sustainability awareness within UBC in the past years has definitely increased. But, for the tens, and more to come environmental groups on campus, let’s work on being the collective voice for students, fostering an environment where people aren’t scared to collaborate and host more large-scale events. 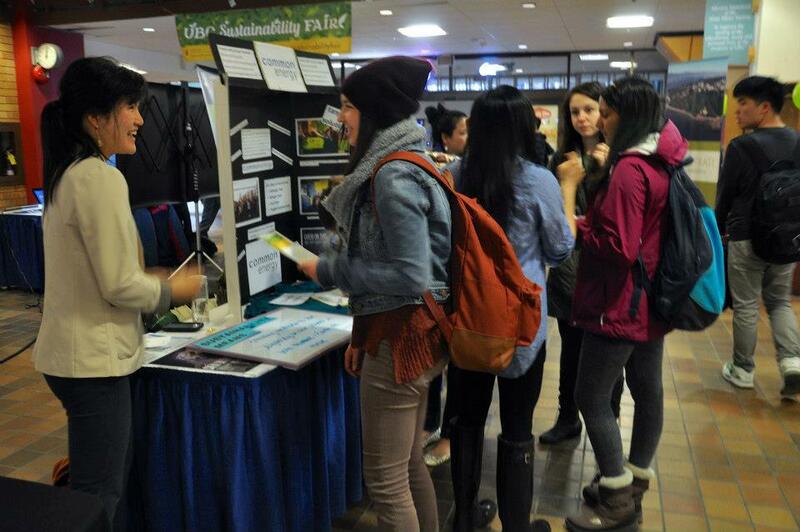 Common Energy UBC is always looking for collaboration opportunities and would love for any groups on campus to share with us their event ideas and ways on how we can promote. We want to try and break the barrier of just setting up a meeting where we discuss the potential, instead, we want to see that potential come to life. Shoot us an email at commonenergyubc@gmail.com anytime, or contact the Assistant External Director (Sophia Yang) to foster more collaborations. So with that, sustainability in UBC, let’s meet again, and do it bigger, better, and more collaborative this time.